Tracy Isaacs is an accomplished Licensed Associate Real Estate Broker that has been selling Luxury Westchester real estate since 2002. She specializes in the sale of high-end properties. Her proudest accomplishment was representing the buyer in the sale of Brooke Astor's country estate, Holly Hill in 2011. Prior to her decision to move into real estate, Tracy was a fashion industry professional where she led the company year after year in highest grossing sales. She has worked with many of the major clothing manufactures in New York. The same qualities that helped her achieve success in the fashion industry have contributed to her achievements in real estate. Throughout her career, Tracy has represented buyers and sellers in some of Westchester's finest single family homes and condominiums. Premium service, unparalleled ethical standards and superior negotiating skills are what distinguish Tracy as an industry leader. She earns enthusiastic referrals from her loyal client base that buy and sell with her time and time again. Whether they are downsizing or upgrading, her enthusiasm for her job helps her clients transition to their new homes and new beginnings. Tracy grew up in Long Island and graduated from Roslyn High School. She received her Bachelors Degree from the University of Wisconsin-Madison. She and her husband have lived in Westchester since 1994 and is the proud mother of boy/girl twins. She is an active fundraiser for her local school education foundation and approves educational grants. Tracy has also worked on fundraising events for the Maria Fareri Children's Hospital and volunteers at a local senior center. Tracy's diligence, integrity, discretion and market knowledge make her an ideal choice for buying or selling a home in Westchester. Tracy is a true professional, with an unimpeachable level of integrity that is unique in her field. I give her my highest level of recommendation. Tracy did a fantastic job selling our home. She is the consummate professional, a pleasure to work with as she exhibits the highest level of integrity and is an expert in knowing the Westchester RE market. 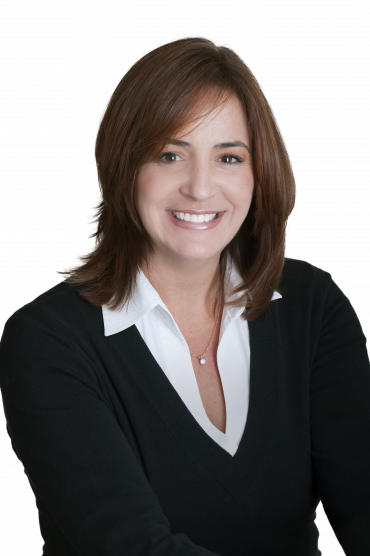 We enthusiastically recommend Tracy to anyone buying or selling a home – she’s the best! Tracy made herself available to us both during and after business hours to answer all the questions that a first time home buyer has. As all deals do, ours had several snags and, I can say in all honestly, were it not for her professionalism and deep knowledge of the process, we would not be living in the home we are so happy in now. Tracy’s professional demeanor and attention to detail made our home buying and selling process very easy. She took time to listen and did not pressure us to look beyond the parameters we set. She was always accessible, even during off-hours and evenings. Her advice and guidance was invaluable as she has great knowledge of her field and respects her clients. Tracy is extremely professional but warm, friendly and caring. I knew we would have a positive working relationship as well as outcome. Tracy came well prepared with goals which were realistic. By being both positive yet with realistic expectations I had complete confidence in her and she nailed it perfectly. Within a week and a half and a deal was made!